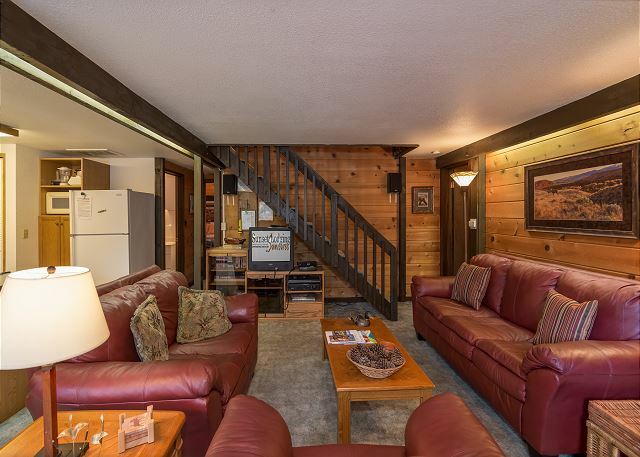 Cluster Cabin #20 is a 3 bedroom/2 Bath condo with a loft and welcomes up to 8 guests. 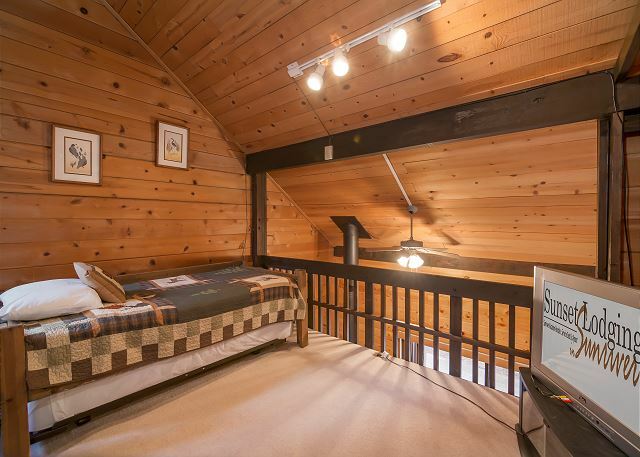 The bedrooms provide queen beds and the loft has a twin day bed with trundle. 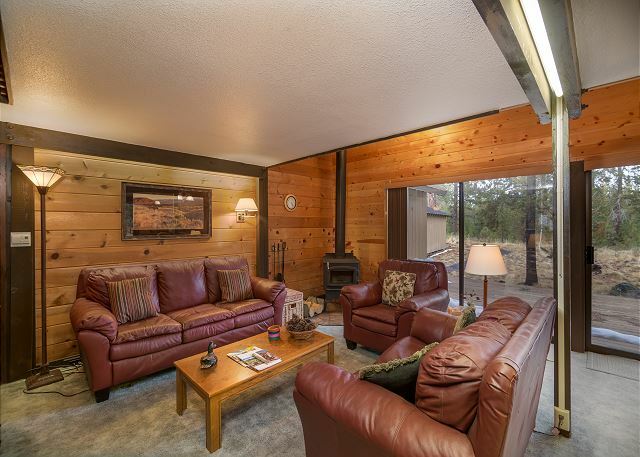 The comfy sofas in the living room is a great place to gather while warming up in front of the wood stove. 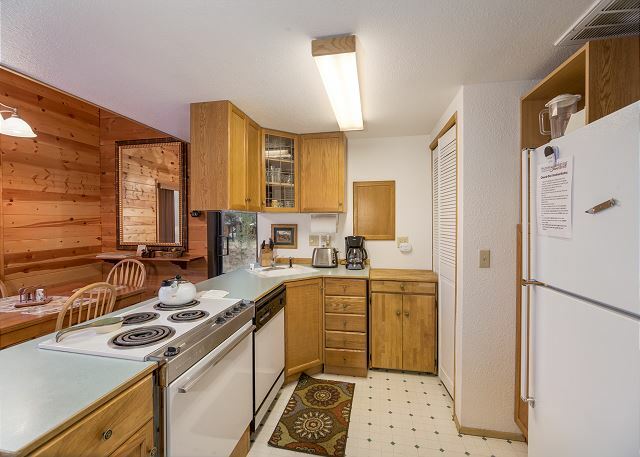 The fully stocked kitchen overlooks the dining area. Close to bike paths and the Village Mall. 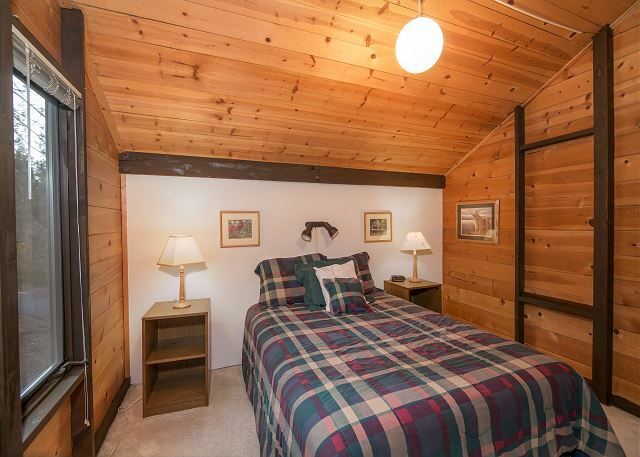 3 Queens, twin day bed w/ trundle, 2TVs/2VCRs, CD stereo, D/W, W/D, microwave, wood stove, 2 levels, gas BBQ, bikes, on bike path, close to mall, lodge & the Deschutes River, 3 star. 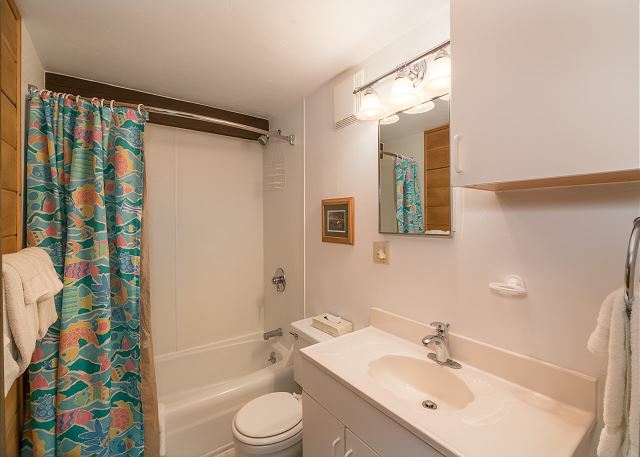 If you would like further information about this rental or our property management services please call 1-800-541-1756. We had a good stay, a bit hot as it has no AC, I didn't even think to check that so our fault. we still had a good time though. Cant really go wrong in Sunriver. Sunset has a great system for getting keys after hours too, very easy. Thank you for your review, William. So glad you had a good stay and found our check in process to be easy as well! Come back soon! 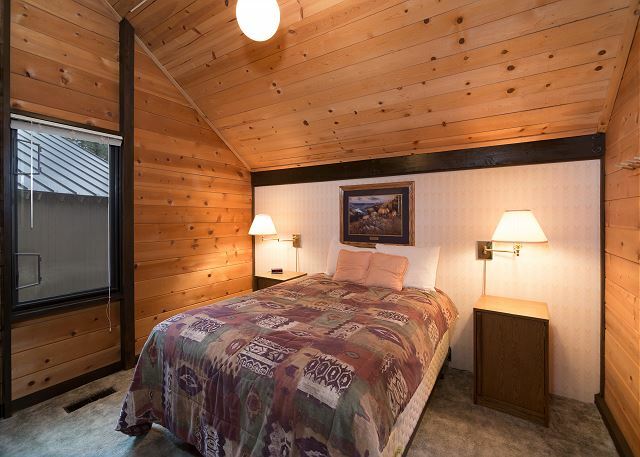 Sunset Lodging is a great rental company. Good people, great service. We stayed in Cluster Cabin 20 for a weekend getaway. It was fine, but not great. Cabin is a little dated with older appliances, no A/C but did the job for our weekend. Thank You for your review! What a wonderful compliment! We love to hear that our guests are happy with our service as it is something that we are passionate about. We hope to see you in Sunriver again soon! 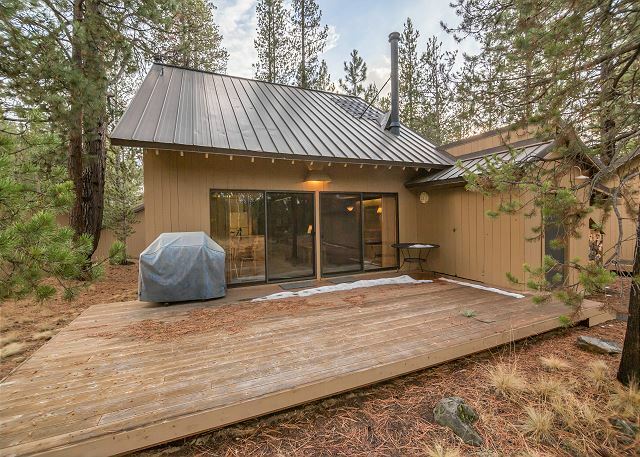 We booked this cabin for the second time because we love the location: close to the bike trail, close to the river and about a 10 minute ride from the Village. 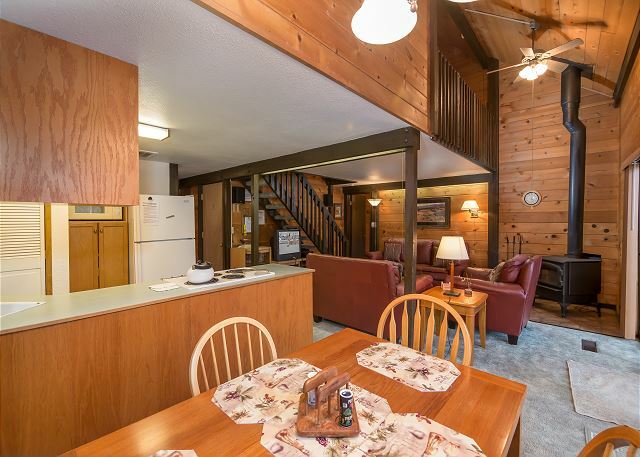 The cabin is cozy, has a nice patio (we use for eating out as the weather permits) and suits our needs. It was very cold for almost a week and we had to use the heater, but apparently this is unusual for this time of year. 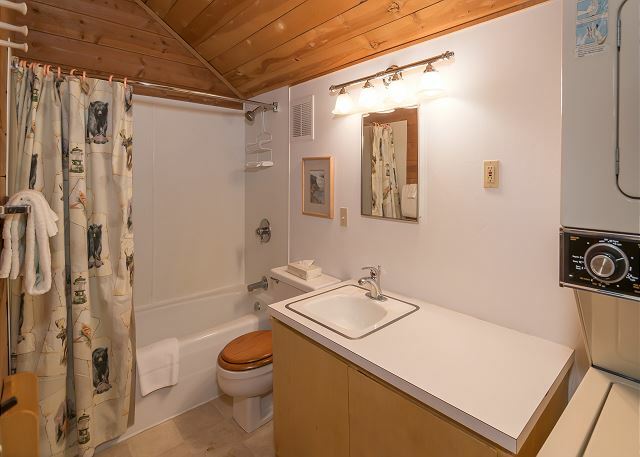 There are several things the owner should work on: the downstairs bathroom could use a remodel (not enough space to hang towels, bathtub had some mold around the edges), the bikes need regular maintenance (one is missing a handle grip, the other has a shaky frame), but most importantly, this cabin is not for a family with an active toddler. There are huge spaces between the guardrails and a small child could fall about eight feet down to a hard surface. If you like to cook like us, we would recommend to shop in Bend because the grocery store at the Village is extremely overpriced and the selection is not great. Overall, the cabin met our needs and we would more likely rent, again. Thanks so much for your review Daniela! We will forward your suggestions over to the owners and have our maintenance staff take a look at the bikes. We hope to see you again soon in Sunriver. We were fortunate to find this condo at the last minute. It had everything we needed including a loft and bedroom for my daughter and her friend to hang out in without disturbing the rest of the family. 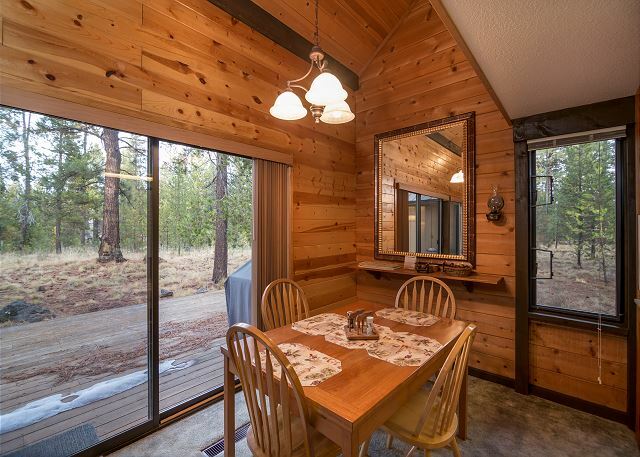 The location is close to the Sunriver Lodge, Sage Spa and the Village. The condo was very clean and met all our expectations. A couple of things to know- it doesn't have a hot tub (we didn't care about that) and it doesn't come with SHARC passes. The owner does offer a 50% refund on SHARC entrance fees if you save your receipt and turn it into the rental company. 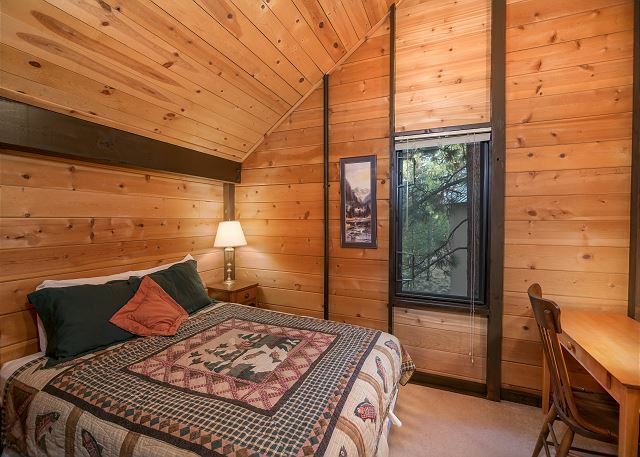 I rented through Sunset Lodgeing and couldn't be happier with the service they provided. Booking and Check in/out was easy. They were also super helpful when I left an item behind in the condo. I was sure I'd never see it again but the housekeeping staff was right on it and they sent it to me right away. We also woke up to a "chirping" smoke detector and the rental company sent someone over immediately to take care of it. Thanks for this great feedback, Kim! 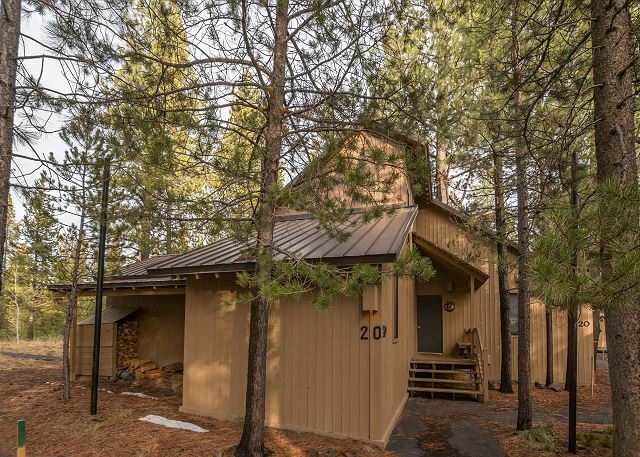 We are so glad you enjoyed Cluster Cabin 20 and all that Sunriver has to offer. And thank you for the opportunity to provide you the service you deserve. We really pride ourselves on that and truly aim to be set apart from the rest by delivering every time. We hope you can get back to Sunriver soon!! The cabin was very comfortable and a perfect size for our family. The location was excellent. This property had a nice deck which included a BBQ. The washer/dryer should be updated. Thanks for this great feedback, Julie! We hope we can count the Balkans as more fans of Sunset Lodging's 'cozy cabins'! We will be sure to pass the washer/dryer recommendation to the owners. We hope you can get back to Sunriver soon! Great place to access bike trails. Most private unit in complex. Terrific for our family! Our grown children and their spouses along with two grand kids enjoyed a week at Cluster Cabin 20. The living room had plenty of comfy chairs for everyone, and the loft offered another option for smaller groups of conversation. We appreciated receiving a loaner bike for the week so that four adults could ride together. The dining table expanded to accommodate relatives who came for dinner. We spent three days at Cultus Lake, and enjoyed an afternoon at the Old Mill Mall. The Ritz it aint, but quite clean and comfortable for a rustic little cabin. The resort gouges for everything - tennis courts are $15, you can't play at ANY of the golf courses (all private), and the Marina wants an outrageous $130 to rent you a little floatie raft. Hint - / just outside the resort is less than half the cost. The bikes are a nice amenity for getting around the resort. Restaurants and service were all good to great. The cabin was clean and in a great location.